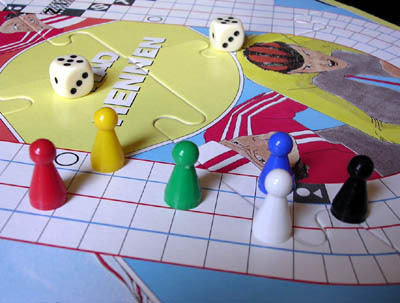 Simple uninteresting German game that represents a track race. 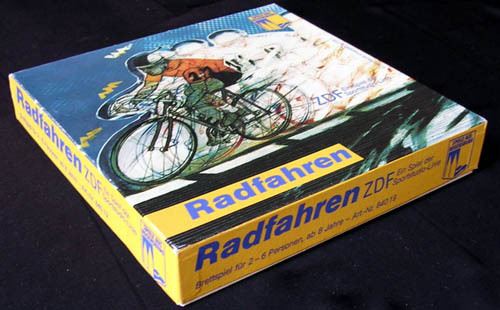 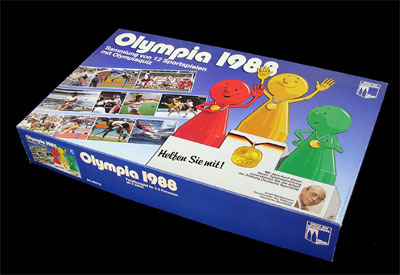 Regensburg released it as part of the OLYMPIA 1988 box (along with 11 other sport games) and also as a stand-alone game. 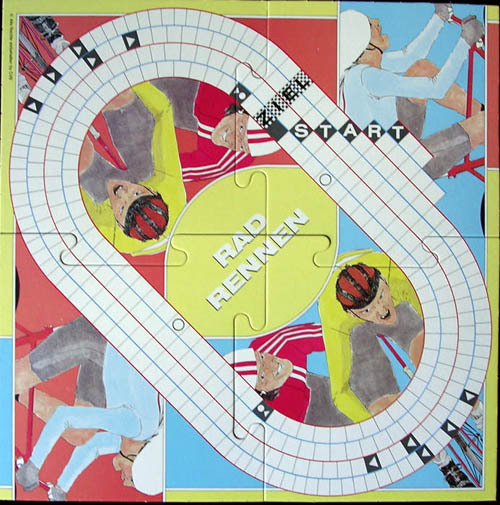 The Olympia version's board is not jigsawed.